Available on 2011-2017 Honda Certified Pre-Owned Accord and CR-V vehicles through 4/7/2017 for well-qualified buyers. Available on approved credit through Honda Financial Service. 0.9% APR for 24-36 months on all 2012-2017 Honda Certified Pre-Owned Accord and CR-V vehicles through 4/7/2017. For well qualified buyers. Example per $1,000 financed and 0.9% APR: 24 months at $42.06/month or 36 months at $28.16/month. Not all buyers will qualify. Higher Financing rates apply for buyers with lower credit ratings. Dealer sets actual prices. See dealer for details. + FREE Multi-point Inspection + FREE Car Wash! 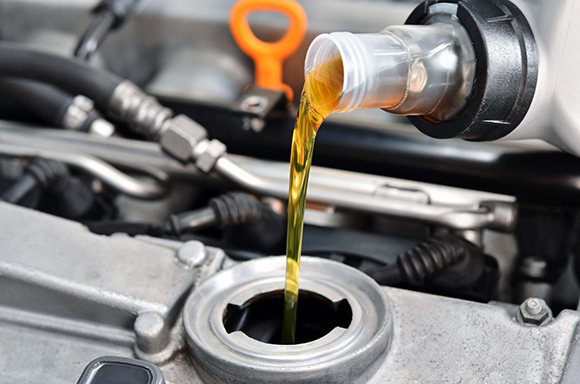 We use exclusively Honda Genuine oil in your Honda, which provides superior performance and protection, and is the most compatible with your Honda vehicle. Our Full Synthetic Oil Change price CAN’T BE BEAT for the value! Click the offer below for details and to print your coupon. 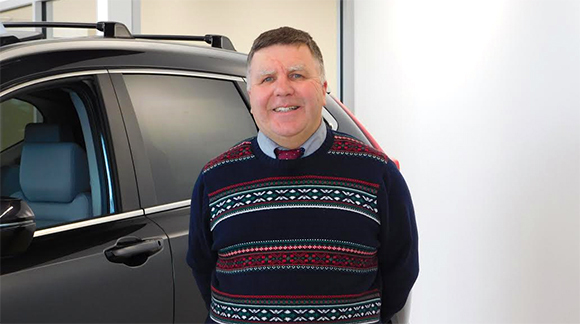 Rochester, NY March 2017, Dave Moffett of Ralph Honda, 3939 W Ridge Rd, Rochester, NY recently earned the Gold Status in the 2016 Honda Council of Sales Leadership. The Honda Division of American Honda Motor Company Inc., awards this distinction to dealership sales consultants who consistently demonstrate sales excellence. 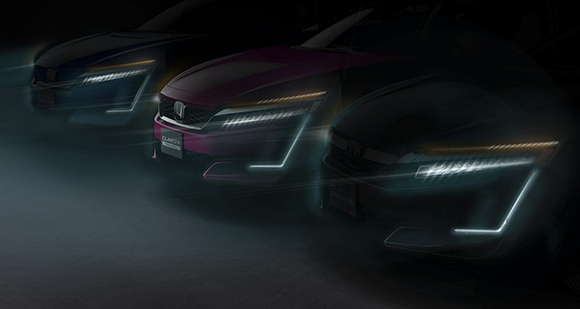 The Council of Sales Leadership is Honda’s annual program for identifying and recognizing its best sales consultants in its dealerships across the country. Those who earned Gold Master status – 431 of the 15,000 consultants nationwide – achieved the program standards for Gold level three or more times at his dealership. Dave Moffett has been a member of the Council of Sales leadership for 10 years. He also has maintained the Salesman of the year award for the last 10 years and proudly serves Ralph Honda customers. 1. Heat oven to 350°F. Spray 10 regular-size muffin cups with cooking spray. Let cookie dough stand at room temperature 10 minutes to soften. 2. In large bowl, break up cookie dough; add eggs. Beat with electric mixer on medium speed until smooth and well combined. Divide dough evenly into 5 small bowls. Color dough with red, orange, yellow, green and blue food colors, stirring until well combined. 3. Scoop dough into muffin pans, making 2 cupcakes of each of the 5 colors, for a total of 10 cupcakes. Bake 15 to 18 minutes or until toothpick inserted in center comes out clean. Cool in pan 5 minutes. Remove cups from pan to cooling rack to cool completely, about 30 minutes. 4. Meanwhile, in medium bowl, beat whipping cream, sugar and vanilla with electric mixer on medium high speed until stiff peaks form. 5. Crumble each of the cupcakes, keeping the colors separate. 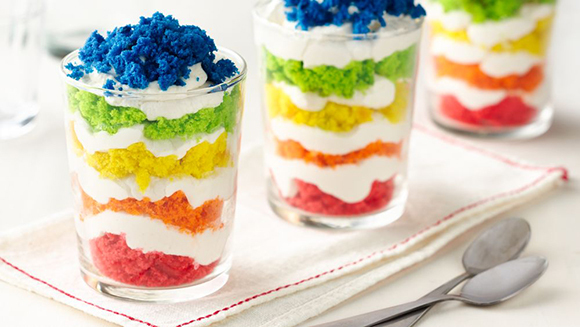 Sprinkle red cake crumbles into each of 12 glass parfait cups, glasses or small jars. Pipe whipped cream on top of each. Repeat process with orange, yellow, green and blue cake crumbles, finishing with the blue cake crumbles. Serve immediately, or refrigerate until ready to serve. Congratulations to John Henchen who works in our Detail Department! Jules Eleanor Henchen was born on Monday, February 27, 2017, at 11:56am, to John and Megan Henchen. 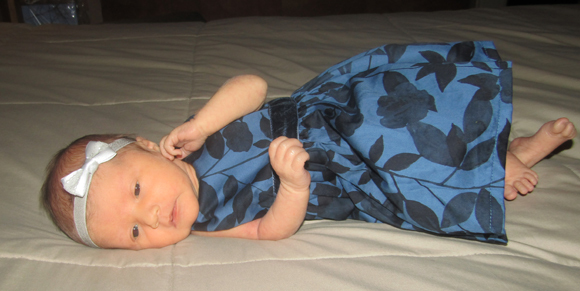 Jules was born 4 weeks early and weighed 4 pounds 15.5 ounces, and was 17.8 inches long at birth. Jules is happy, healthy and a good natured baby.